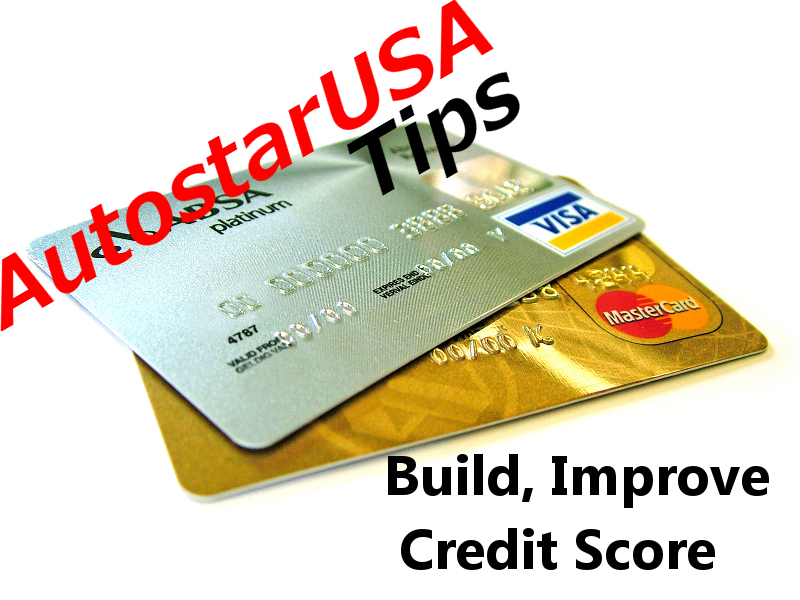 The following article contains tips on how to build or improve your existing credit score and is titled Autostar USA Tips: Build, Improve Credit Score. If you arrived here in error you can click here to view our massive inventory or give us a call at (800) 680-0835. If you prefer email or text you can reach out to our World Class Internet Department with this form. Let’s list this out so it’s easier to take in. Keep in mind that in this article is not to help you rebuild bad credit (stay tuned for that part next week). This article is to help you build your credit from scratch. You can also use this information to help give it that little extra push it may need to get the credit line you’re aiming for. Know what your credit score is and is not. Check out our page, Credit Score, What in the World is it really? to brush up on what your credit score is first. Know your credit score. As they say “you can’t know where you are going until you know where you have been. Knowing where you credit score currently lies (if you’re high, low, subprime, prime, don’t have credit etc) is key to knowing how to make it better. Even if you don’t think that you have credit it may not be a bad idea to check your credit history and see what comes up. Even if you’ve never used your credit before, someone else may have and that would benefit you greatly to know and correct that. Dispute any errors that you find. You’ll have to notify the creditor and at least one of the three credit bureaus in writing. Make sure to include a formal request to have the charge removed. Also include copies of documents and clearly identify the inaccurate items. Even if the credit bureaus don’t remove the inaccuracy you can request that a statement of the dispute be added to your credit history. Refrain from applying for credit needlessly. Only apply for and open new lines of credit accounts as you need. Don’t open accounts just to try to improve your credit history or credit score. Make your payments on time. Experian cites this as the most important contributor to a good credit score. Keep balances low on credit cards. High outstanding debt can negatively affect your credit score. Minimize your outstanding debt. It’s always better to pay off debt instead of moving it around. Experian also states that having the same amount of debt but having fewer open accounts may sometimes lower your credit score. Don’t close accounts as a short term strategy. Also, if your debt is high it’s a great idea to move any disposable income towards paying these off sooner and giving yourself some breathing room. Protect your credit information from identity theft and credit fraud. Make sure to get your credit history report at least every year and dispute any suspicious items. It is said that there is no quick fix for bad credit scores. Time is on you side when it comes to improving your score. Remember to pay your bills on time and don’t inquiry too frequently. Small changes to your credit history can effect multiple items. This can work for you or against you depending on how you treat your credit.